This is it. What we’ve all been waiting for. The new release of Thong Girl the Video Game! It’s now available for both Mac and Windows, and demos for both operating systems can be downloaded with the buttons below. I’m really excited about this one, so let me just walk you through some of the features we crammed into this release. We tightened up some of the combat elements, made the AI slightly more competent, and fixed quite a few noticeable errors. 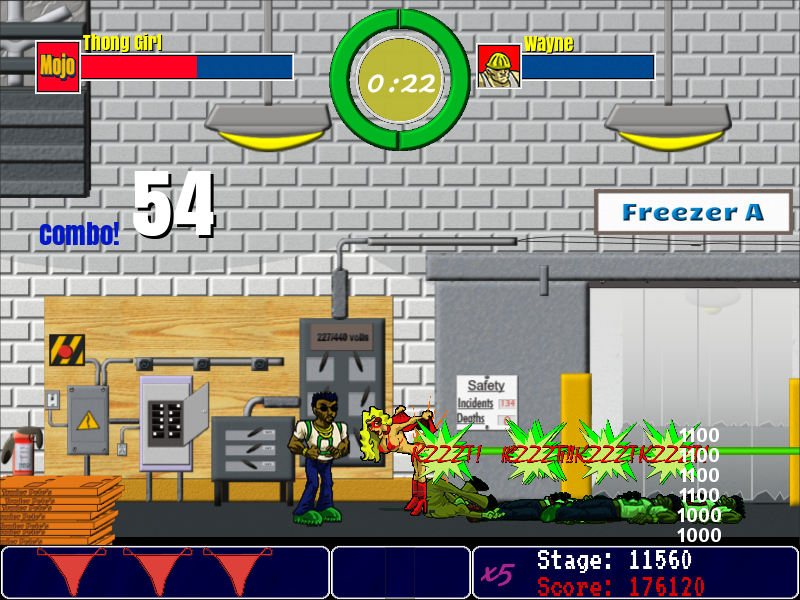 We’ve added a few more gameplay modes that can be accessed after you beat the game. Players diligent enough to play that long will have access to play any level at any difficulty to their heart’s content. The High Score table is now available! Enter your name when starting the game and have your successes automatically sent off to our server as you play. The Interface has had a MASSIVE overhaul. If you’ve seen the game at any of the conventions we’ve attended so far, you’re probably familiar with the changes we’ve made. But it’s much sharper than the original, and we think you’ll be really happy with the results. Owners of the original version should have received emails with their download links for the new version. The new version can be installed right on top of the old installation. Start a new game and enter your name to begin submitting scores to the leaderboards. Thanks to everyone for being so patient while we worked on making this game worthwhile, and we look forward getting started on our next project. This entry was posted in News by Mo³. Bookmark the permalink.